Welcoming clean drivers with EV charging infrastructure has perks above and beyond adding customer value. One of the most widely recognized standards for rating environmentally-friendly buildings is Leadership in Energy & Environmental Design (LEED) – and the benefits are numerous1. Today every business and industry is cleaning up its act. Whether you call it “greening,” creating a sustainable business model, or just plain getting smart about waste and environmental impact, it’s an irreversible movement that’s been a long time in coming. Many businesses have established their own internal goals, but independent standards have also been established to measure and verify how well businesses accomplish their sustainability goals. Independent standards offer a uniform means of measuring progress and play an important role in helping eco-conscious consumers decide where to spend their money. LEED generally applies to new construction projects and to renovations of existing buildings. A point-based rating system developed by the U.S. Green Building Council (USGBC), LEED rates a new or remodeled building according to energy savings, water efficiency, CO2 emissions reduction, indoor environmental quality, and stewardship of natural resources. Today there are more than 14,000 LEED-certified projects in the U.S. and 30 other countries. These and other common metrics linking the EV infrastructure movement and U.S. Greenbuild Council’s sustainability goals may help qualify your project for LEED points toward Basic, Silver, Gold, or Platinum LEED certification. 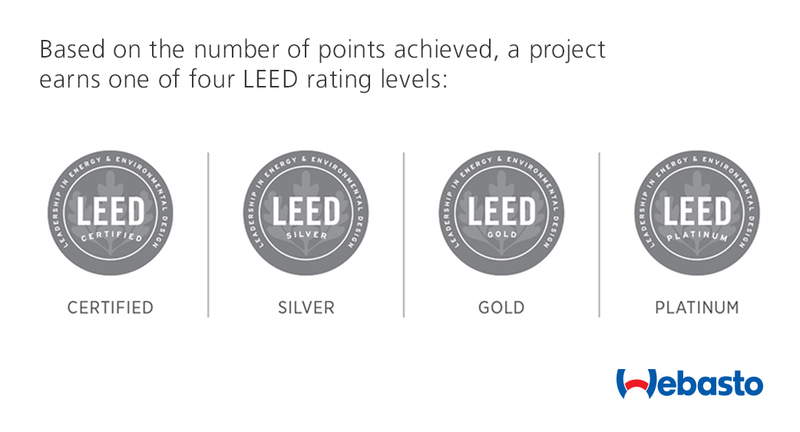 For more information on specific LEED credits see www.usgbc.org. ¹This information is intended for general use only and does not offer USGBC-sanctioned advice or guarantee of LEED certification. ²For a list of government incentives for LEED projects click here.